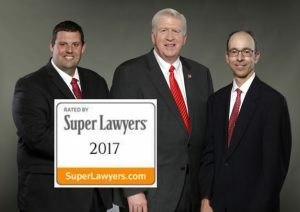 The Dean of Georgia DUI attorneys, William C. “Bubba” Head, a Super Lawyer since 2004 when the “Super Lawyers” professional excellence recognition category was started, is the best-known DUI lawyer in GA, and one of the best-known in America for beating a DUI. 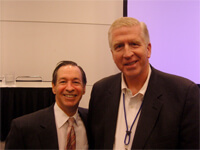 Mr. Head and his DUI law firm partners, DUI Attorney Atlanta Larry Kohn, Super Lawyer, and ex-cop-turned-criminal-defense-attorney Cory Yager, Super Lawyer Rising Star for the past six years in a row, collectively handle in excess of 600 misdemeanor and felony criminal law cases annually in Georgia. The DUI lawyers in Atlanta pride themselves on fighting DUI arrests in criminal courts all over Georgia, and not just in Atlanta, GA. Each DUI lawyer is now a legal author, for national legal book publisher Thomson-Reuters-West. Over 90% of the crimes our DUI law firm defends are traffic-related arrests, and most of those criminal law cases that occur in motor vehicles will have a DUI GA as one of the most serious charges. This includes felony vehicular homicide arrests, based upon an underlying DUI offense, or possibly a single charge of 1st offense DUI, a misdemeanor, or after a DUI checkpoint arrest, where no underlying traffic ticket was issued except the misdemeanor DUI citation. All three of the DUI lawyer partners at our firm are DUI law authors. No other law firm in Georgia can match that, and very few can in America, especially in DIFFERENT, national legal book publications. William Head wrote and self-published his first national DUI book on how to beat a DUI, 101 Ways to Avoid a Drunk Driving Conviction, in 1991. It is still the largest-selling DUI book in US history. This first DUI book was followed by over a dozen other DUI books, on DUI-DWI laws in many other states, including the leading treatise on Georgia DUI law, co-authored with Frank T. Gomez, and published by the world’s largest legal book publisher, Thomson-Reuters-West. 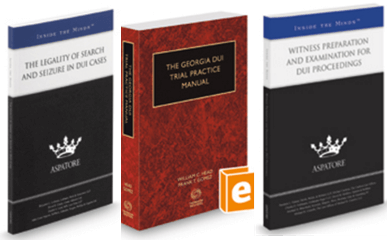 This 1,200+ page book, The Georgia DUI Trial Practice Manual, is part of the personal library of over 1,000 Georgia lawyers, and over 200 Georgia DUI Court judges, plus at least as many prosecutors. In 2016, both Cory Yager and Larry Kohn were invited to write (along with other DWI-DUI attorneys in other states, like Michigan and Colorado), chapters in two different DUI books on Trial Tactics for DUI lawyers. Mr. Kohn’s book chapter appears in the book The Legality of Search and Seizure in DUI Cases, 2016-2017 ed. : Leading Lawyers on Leveraging Science and Process to Develop Winning Defense Strategies (Inside the Minds) (Aspatore Publishing, a division of Thomson-Reuters-West). Mr. Yager’s book chapter appears in the book entitled Witness Preparation and Examination for DUI Proceedings, 2016-2017 ed. : Leading Lawyers on Understanding the Role of Witnesses in DUI Cases (Inside the Minds) (Aspatore Publishing, a division of Thomson-Reuters-West). Both books are guidebooks for DUI lawyers across America, on how to beat a DUI. Drunk driving book images of three of our books are shown below. Each legal practice area has certain terms and phrases that must be understood to comprehend the nuances of that legal topic. DUI attorneys have certain acronyms and will use “legal jargon” when speaking of driving under the influence cases. For a quarter of a century, DUI attorney William C. Head (known widely as “Bubba Head”) has written definitive books on both how to beat a DUI and about every aspect of Georgia DUI law. Therefore, he is accustomed to explaining legal terminology to clients with cases pending in criminal court who are under stress and experiencing high anxiety from being arrested, jailed, bonding out, recovering their towed vehicle, and now facing months of disruption and uncertainty in their lives. Mr. Head fully understands what is at stake for successful, career-motivated individuals who have to fight a DUI case in Georgia. 30 day letter – The all-important license suspension appeal letter, requiring a filing fee of $150 to the Georgia Dept of Driver Services (the GA DMV), that extends your driving privileges, so that your DUI lawyer can try to either negotiate a favorable deal, to keep you driving, or to be able to get the administrative driver’s license suspension lifted entirely. An untimely filing of this license suspension appeal, within “30 calendar days” after the arrest, will NOT be allowed to secure an administrative appeal. Within 30 calendar days from the date of your arrest, you must apply for an ignition interlock permit at your local Georgia DDS office. If DDS approves your request, you must have it installed by a state-certified installation facility within 10 days of your approval. The interlock must stay on your vehicle for at least 120 days provided you took a breath, blood, or urine test after your arrest. If you REFUSED to take one of these tests after the officer asked you to do so, the interlock must be on your vehicle for one year and cannot be removed, even if you win your case or it is reduced to another charge such as reckless driving. The IID option is NOT an option for any drivers under 21 years of age, commercial driver’s license holders, anyone with at least one DUI conviction in the past 5 years from ANY state, and any out-of-state license holders. This means that if you live in another state, and your driver’s license is issued by that state, you cannot apply for an interlock device. If you do nothing (don’t file an appeal or request an IID) within 30 calendar days, your Georgia license will be suspended for 120 days provided you took a breath, blood, or urine test to determine impairment level. If you completed one of these three tests, you will also be eligible for a temporary restricted driving permit. If you REFUSED the chemical tests, your driving privileges will be suspended for 12 months, and you won’t be eligible for a temporary restricted driving permit. Implied Consent – Each state has special statutes called “implied consent laws” that call for penalties against an arrested DUI driver, if the driver either REFUSES to take the post-arrest breath alcohol test, or a blood test (for drugs and/or alcohol) is taken and reveals that your BAC is over the legal alcohol limit, after being notified by the officer of your legal obligation to submit to testing. The purpose of implied consent laws is to seek administrative suspension of your Georgia driver’s license, and having DDS GA (our State agency controlling driver license status) suspend you. The Georgia implied consent law targets loss of driving privileges, with a refusal suspension causing total loss of the ability to drive for a full year. Part of the service provided by your DUI attorney is successfully handling this administrative license suspension case, while fighting the criminal case, in your criminal court. Some states’ DUI laws call for JAIL time for any person who refuses to submit to the implied consent test requested by the law enforcement officer, after a drunk driving arrest. DUI less safe – This phrase defines the TYPE of DUI in Georgia that requires the Prosecutor to prove that the drunk driver’s mental or physical abilities were impaired by either alcohol or drugs. Almost 100% of DUI arrests begin as a DUI less safe case. If it is a DUI-drugs case, the impairing drugs can either be illegal drugs, prescription drugs or even over-the-counter drugs like Nyquil or Benadryl. The three factors that usually are part of the State’s case are the nature of the driving conduct, manifestations of impairment of the driver (e.g., slurred speech), and performance on any roadside “evaluations (e.g., field sobriety test, hand-held breath alcohol screening device). This is the initial type of DUI that an officer makes his or her arrest upon, before reading implied consent, to try to get more evidence against the driver, for bringing additional TYPES of Georgia DUI charges, like DUI-alcohol per se. DUI per se – If a person submits to a breath alcohol test or a blood test or urine test, these forensic test “numbers” showing how much of the impairing substance is in your system can be used to add a new type of drunk driving charge, which does NOT require the Prosecutor to prove any impairment at all. For either alcohol or marijuana, these forensic test results, if believed to be reliable by a jury, can be the sole basis of your DUI per se conviction. Intoxilyzer – This is the brand of breath alcohol testing device exclusively used in Georgia since 1995. The old, decommissioned Intoxilyzer 5000 has been phased out after 2015, but older cases that are not yet resolved by our court system still have these analytical devices as part of the DUI-alcohol per se case. The newer breath test machine is the Intoxilyzer 9000, made by the same manufacturer, CMI of Owensboro, KY. Your DUI lawyer should be an expert on how these devices operate, and how to beat the test results in criminal court. OSAH – This is the acronym for the administrative law court that adjudicates (decides) your administrative driver’s license suspension hearing, after your DUI arrest. This decision is reported to the Georgia Department of Driver Services (GA DDS), for taking final action to suspend your driver’s license. The OSAH (Office of State Administrative Hearings) court only determines issues relating to the Georgia implied consent law, and whether you will be suspended, or have this pending driver license action “rescinded” (lifted). The administrative law judge (ALJ) only deals with this aspect of your DUI arrest, and not the criminal aspects, such as jail time, fines, probation, DUI school, etc. However, any conviction for drunk driving WILL suspend the person, for DUI in GA. By operation of law, the DDS GA will take action for a criminal conviction, but give credit for any administrative suspension time you already served. Arraignment – This is the usually an accused citizen’s first court appearance, in a criminal law case, where the accused and his or her criminal defense attorney appear to “answer to” the criminal charges. 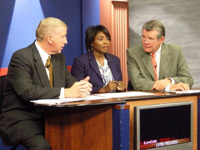 This first step in the DUI court process, under Georgia law, allows for the DUI attorney representing the accused citizen to “waive” (forego this unnecessary procedural step) the reading of the charges against the defendant, and to appear without the client, but some Georgia judges do not allow this to occur. 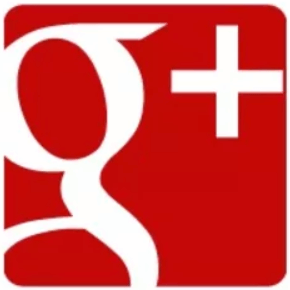 A not guilty plea is entered by the DUI lawyer, and certain discovery requests or written motions can be filed, either at arraignment, or within ten (10) days of the arraignment, so that a pre-trial hearing by your Judge can be scheduled, for your criminal defense lawyer to then challenge important parts of the State’s case against you (i.e., exclusion of alcohol breath test results, or the HGN (eye test) given as part of the field sobriety tests. Your lawyer must be an expert in the field sobriety tests, for you to have your best chance to win your DUI case. Pretrial Motion Hearing – A critical part of virtually every DUI case is to have the Judge make rulings at a pre-trial hearing on the admissibility of certain harmful parts of your case evidence that may not have been lawfully obtained by police. For example, if the Georgia implied consent law has been violated, with your breathalyzer test results, or any blood or urine test results can be excluded from the State’s presentation of its evidence, at trial. Similarly, if the horizontal gaze nystagmus (HGN test) was not given correctly, your DUI lawyer should bring in an expert witness to show non-compliance with key Georgia appellate cases, so that this improper evidence is not mentioned at trial. This stage of the legal proceedings is critical to a proper DUI defense, in virtually all cases. One possible example of a time that no such hearing should be requested and utilized by a drunk driving lawyer is where a DUI check point was used to arrest the client, and the driver only gives the officer his name and address, and then neither says nor does anything else to incriminate himself (like the roadside, standardized field sobriety tests) at the roadway, the officer smells alcohol on the driver’s breath, and (once arrested for DUI) the driver refuses the requested breath alcohol test. Plea bargaining – Almost every client facing criminal offenses that we interview facing a DUI or other serious felony or misdemeanor charge is interested in looking for a plea bargain that prevents a trial. However, few cases START with plea bargaining, as part of the DUI court process. 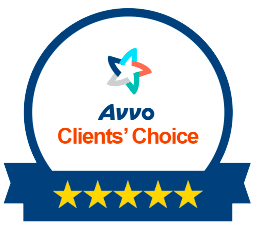 Our clients also do not want to lose the right to drive, or serve jail time, or to have a permanent criminal record that will hamper future job opportunities or travel plans. Plea bargaining is commonly attempted by criminal defense attorneys, since most criminal courts will accept such negotiated “deals,” and most prosecutors are willing to discuss plea bargaining with a defense lawyer, when the criminal case has weaknesses and flaws that may result in an acquittal at trial. Our DUI law firm, however, is not seeking a plea bargain that results in a DUI conviction on your permanent criminal record. In GA, that means that the DUI is on your criminal history FOR LIFE. To our DUI attorneys, that is no victory and it not a success, for the client. The plea bargaining that our DUI lawyers are seeking for our clients in Georgia is for a “non-DUI disposition.” To get such plea bargains, our criminal lawyers must fully investigate every aspect of the DUI arrest, the DUI testing and the initial basis of the pullover (or the legality of the DUI checkpoints used by the police agency that established the roadblock), to show that problems exist with the State’s criminal case against our client. If a Georgia attorney is known for never going to trial, there is no “clout” behind the request for a reduction of charges. Our firm’s three lawyers are usually able to plea bargain a DUI case to a lesser offense, but this non-DUI disposition is generally limited to having the DUI reduced to reckless driving. In some cases, however, our plea bargaining has resulted in a minor offense, such as a “basic rules” violation, that carries no points and does not appear on the accused citizen’s record. In a few cases, total dismissal of all charges is possible, but rarely accomplished through a plea bargain. This type of outcome will usually be the job of a jury, to say “not guilty,” as the last step on the DUI process. Trial – When people think of a trial, they think of a movie trial, or a Law & Order SVU episode. 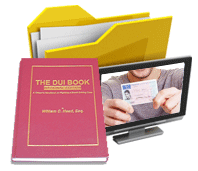 The DUI trial process is much different than anything you have seen in movies or television. Our DUI lawyers know how to beat a DUI, and have been involved in thousands of trials over the past four decades, but we always prefer to settle a case for a client without going to trial, through plea bargaining, so long as our client is satisfied with our negotiations in the plea bargain process. The last resort, in the possible outcomes of a DUI arrest, is for our client to go to a trial and have the driving under the influence case decided by litigation. In Georgia, this trial can be a jury trial or a non-jury trial (bench trial, decided only by the Judge). Only a DUI lawyer with vast DUI trial experience, and an intimate knowledge of the specific court that the case is pending in, can decide when and if to “waive” (give up) the right to trial by jury. In Georgia, a misdemeanor jury has six jurors. A felony jury will have 12 jurors and the greatest benefit of trials, in general, is that the jury must be UNANIMOUS, meaning that all must agree to the verdict, guilty or not guilty. So, you cannot be convicted by a jury if one, lone juror holds out against conviction.